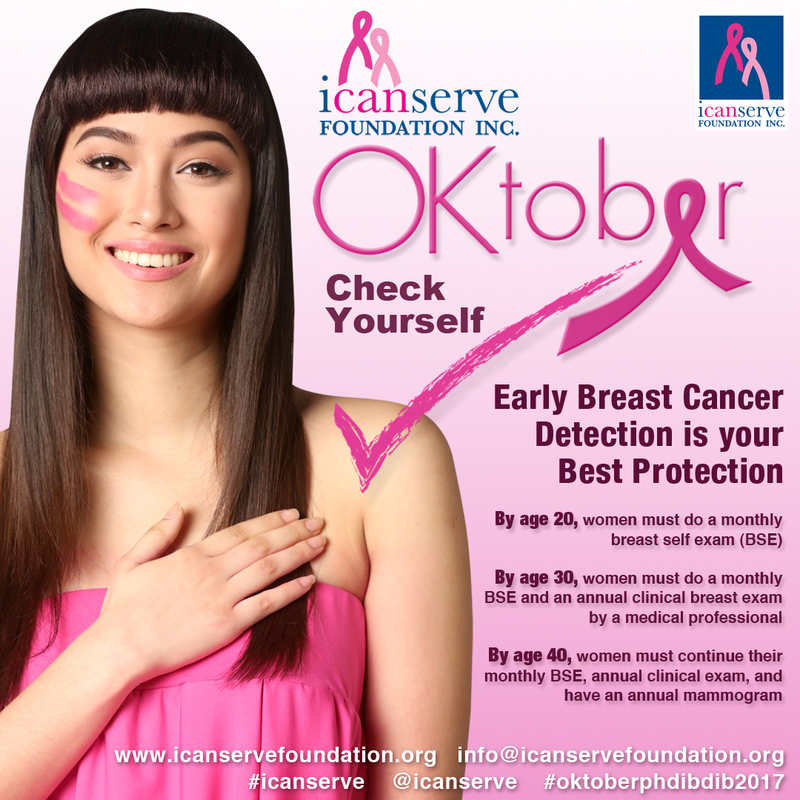 ICanServe partners with Marikina City through Mayor Marides Fernando for its flagship program,”Ating Dibdibin, the first community based breast cancer screening program in the country. “Ating Dibdibin” will be launched on June 6. A Memorandum of Agreement will be signed between Marikina city Mayor Marides Fernando and the ICanServe Foundation represented by its Founding President Kara Magsanoc-Alikpala. This is a very vital program for a country with the highest incidence of breast cancer in Southeast Asia. Lea Salonga, multi-awarded singer and actress leads the information campaign designed and produced by volunteers of the Jimenez Basic ad agency. To prepare for the program, ICanServe with the help of Dr. Corazon Ngelangel, oncologist, cancer screening advocate, trained the medical staff, barangay and family health workers on early breast cancer detection techniques so they can teach the female residents of Marikina . During training, each participant also received free breast clinical exam. Dr. Karen de la Cruz, organizational psychologist, former volunteer for the Philippine Cancer Society, honed the skills of breast cancer survivors including ICanServe members on public speaking and empathy. 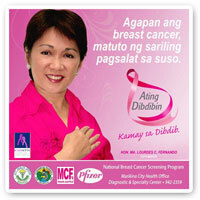 “Ating Dibdibin” aims to fight ignorance and the fear women have of cancer and to make breast self exam a lifetime habit. It ultimately wants women to take charge of their health. Hopefully at the end of many years, breast cancer will be caught in its earlier stages. Both Marikina and ICanServe will commit to help source funds for women who will test positive for breast cancer. 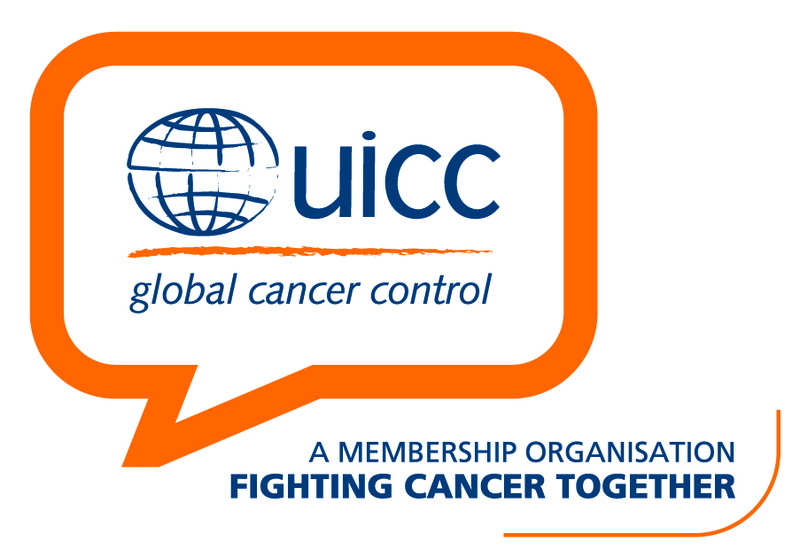 ICanServe is a program under the auspices of the American Cancer Society made possible by a grant from Pfizer Foundation USA and Pfizer Philippines.